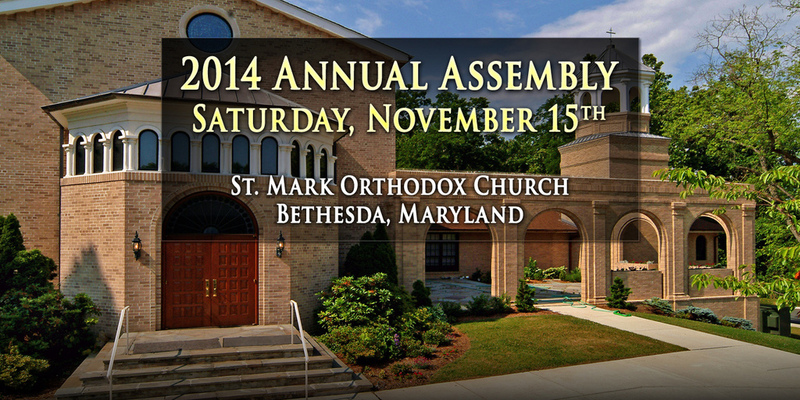 On Saturday, November 15th, the 2014 Annual Assembly of the Archdiocese of Washington will take place at St. Mark Orthodox Church in Bethesda, Maryland. In preparation for the assembly, the Archdiocesan Council will meet on Saturday, October 11th at St. Andrew Orthodox Church in Baltimore, Maryland. Documents for both events are posted below.